I have been coaching golf for over 20 years and I have read, watched, listened and attended many golf coaching seminars with the world’s leading coaches and this is by far the best tip to get you holing more putts. If you find yourself missing these putts, their is a good chance that you are moving your head and body around far to much as you make your putting stroke. If you do this you will also affect where you strike the putt on the putter face, this can lead to poor lag putting. A good idea would be to focus on a specific area of the ball, the logo, a dimple or even a pen marking that you have put on your ball. 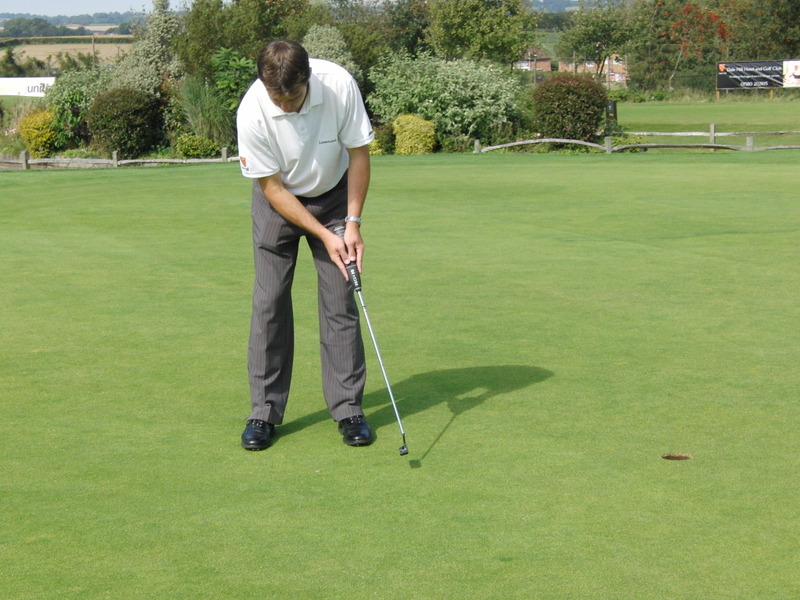 Focus on this area when you are making your putting stroke and listen for the ball to drop into the hole. Keeping your eyes still will also dramatically increase your chance of hitting the putts out of the center of the putter, this will alone improve your distance control.